Where do Museum directors, development teams, benefactors, boards of trustees, and collector committees turn to design and plan the perfect art tour itinerary in Asia and Europe? Art Travel Curator Anne Alene is recognized as a leading art history and travel expert for VIPs and philanthropists who want to expand their knowledge, discover new cultures, and make valuable connections in the art world. Anne provides professional knowledge and experience, while she and her team work diligently behind the scenes to address your specific needs, create an unforgettable experience every step of the way, and enhance your organization’s impact! Reach out and connect for updates from Art Travel. Uniquely crafted custom tours that give your group an insider’s experience of Japan’s art, culture, and people. Plan your tour for any destination in Europe or anywhere around the globe—you have complete freedom of choice! 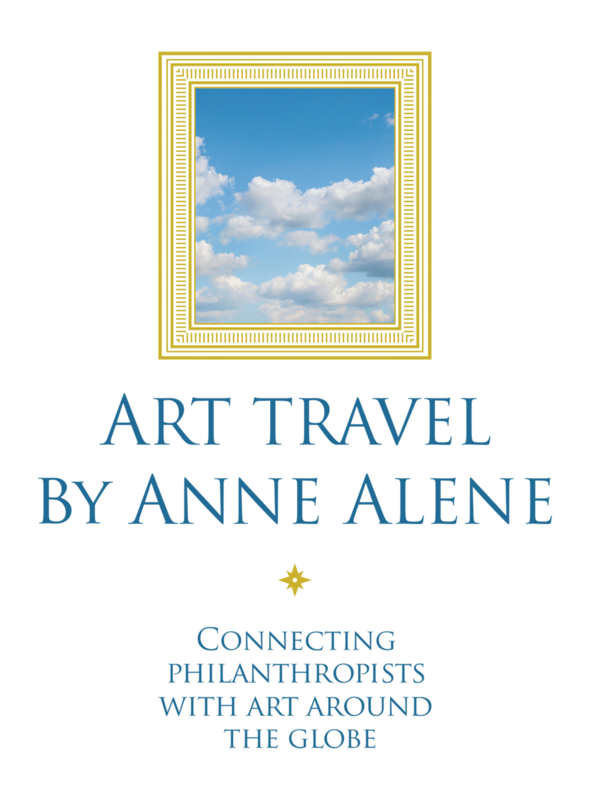 Every art tour by Anne Alene is fully customized to meet the specific goals of your group or organization.